How important is it to get your gutters checked? Gutters have one job: to guide rainwater off your roof and straight down the drain, although most people don’t think about their gutters until there is a problem. They play an important role in removing the rain water away from your roof. If you leave them and they get blocked, it could cause some structural damage to your property. The resulting damp can then cause health issues for you and your family. Clean gutters are far less susceptible to damage than blocked gutters. In fact, the two most common Gutter related issues facing homeowners are blockages in the gutter itself, and blockages in the downpipes. These blockages are often caused by debris such as tiles, fallen leaves and moss. Leaking gutter joints are another common problem: in fact, leaking gutters are the most common cause of isolated damp in homes across the UK. Leaks can occur when bits of debris get caught in the joints, or the seals in the joints are perished. 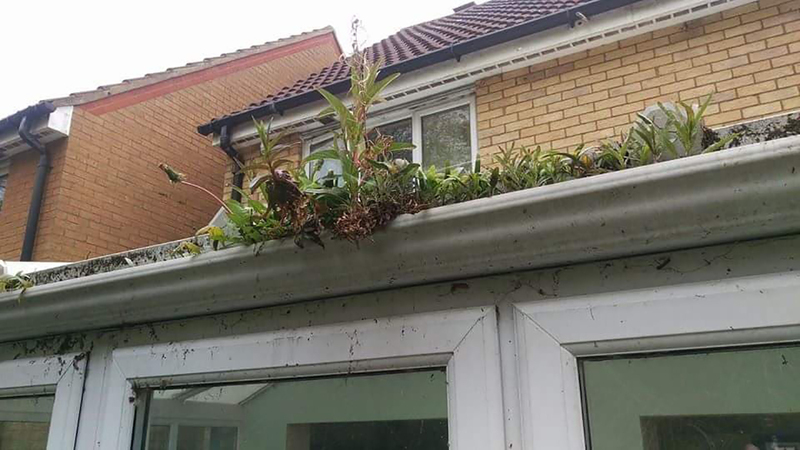 If you’re experiencing damp in your property, it’s a good idea to check your gutters before you do anything else to see if that’s what’s causing the problem. If you have damaged or blocked guttering, the easiest way to clear it is to call in the professionals. 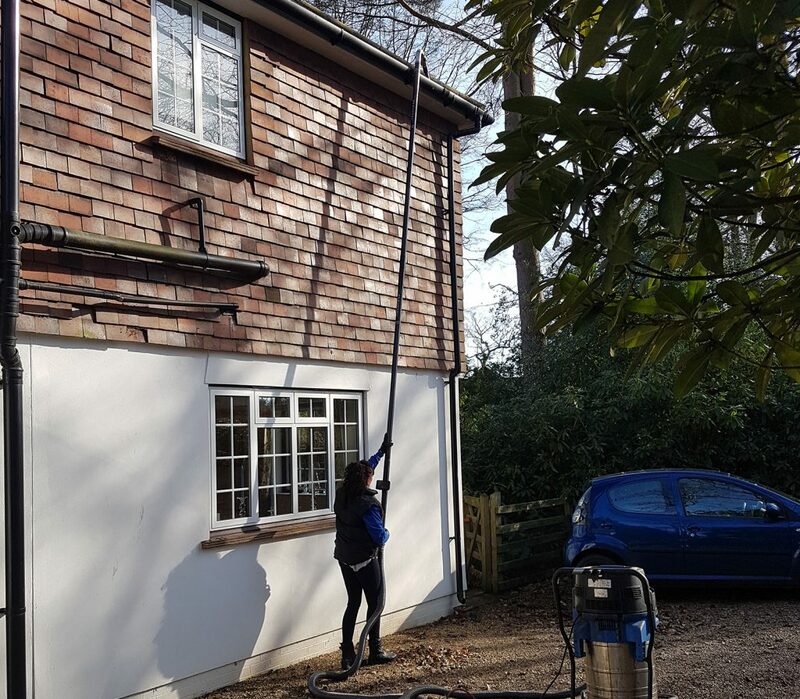 At Cleaner Gutters we will be able to advise on everything from clearing debris to repairing leaking joints and replacing perished seals. How often should you get your gutters cleared? 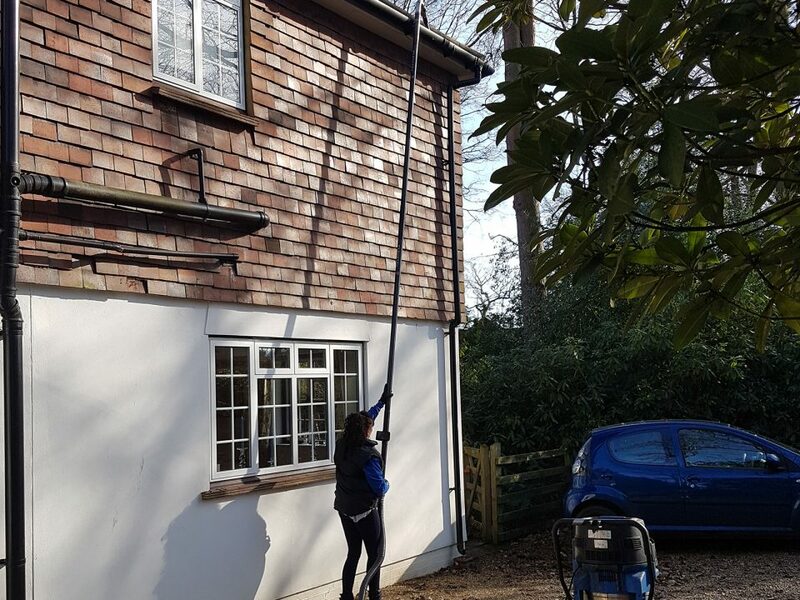 There is no right or wrong answer here, but it is highly recommended that you get your gutters cleared once a year should you live in an area with large amounts of trees or moss, maybe more than once a year if needed. 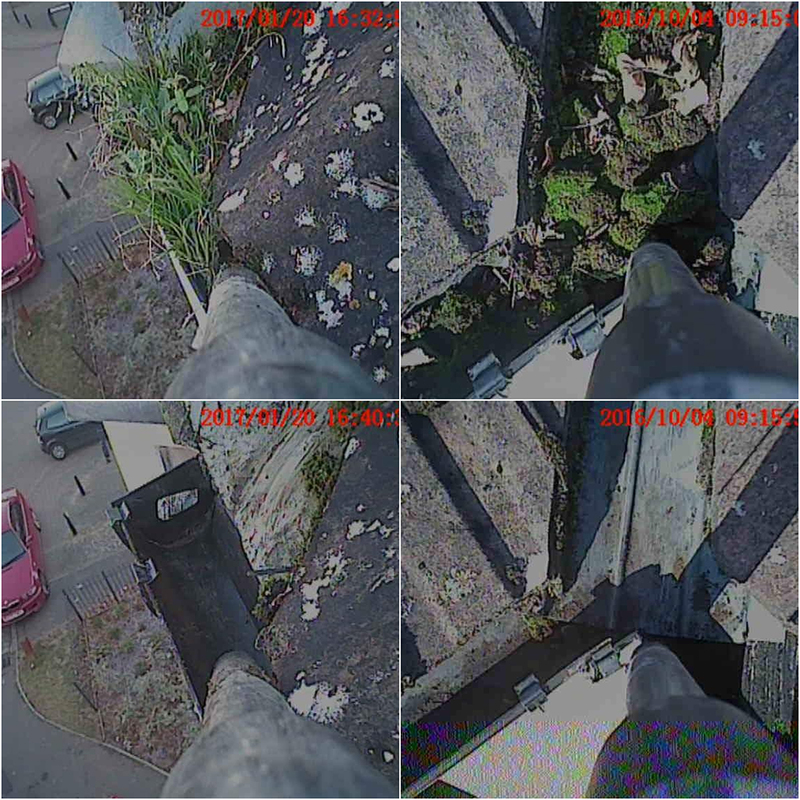 Most home insurance polices require you to maintain your property and at Cleaner Gutters we use the latest in gutter clearance and cleaning technology to clear your gutter safely from the ground, and as we have a wireless CCTV camera attached to the head unit, we can see the condition of your gutters and we take before and after photos so you can provide proof of regular gutters being regularly maintained.